This work is an extended version of our ICCV17 paper, where we additionally present a stochastic vertex sampling technique for faster training of our networks, and moreover, we propose and evaluate analysis-by-synthesis and shape-from-shading refinement approaches to achieve a high-fidelity reconstruction. 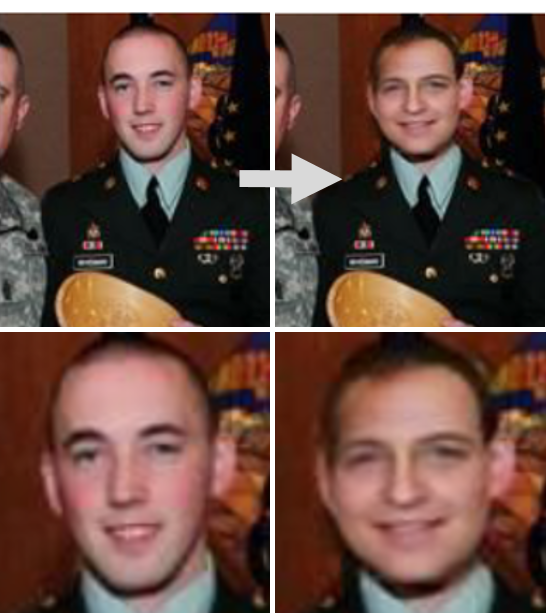 We propose a new hybrid approach to obfuscate identities in photos by head replacement. Our approach combines state of the art parametric face synthesis with latest advances in Generative Adversarial Networks (GANs) for data-driven image synthesis. 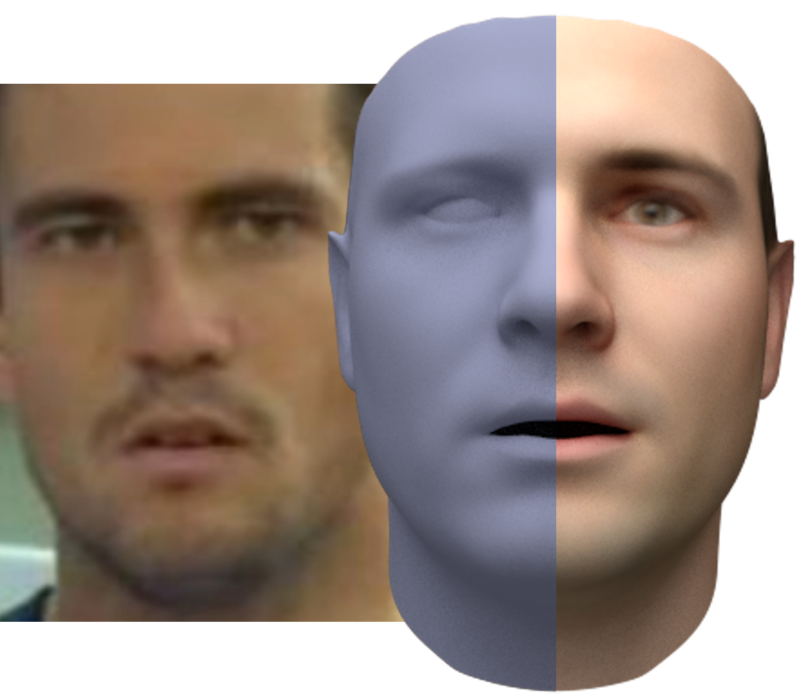 We present a novel approach that enables full photo-realistic re-animation of portrait videos using only an input video. 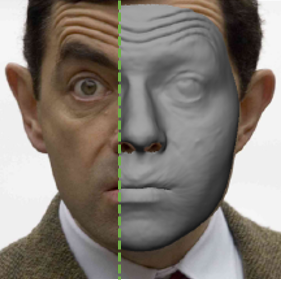 We propose the first approach that jointly learns 1) a regressor for face shape, expression, reflectance and illumination on the basis of 2) a concurrently learned parametric face model. 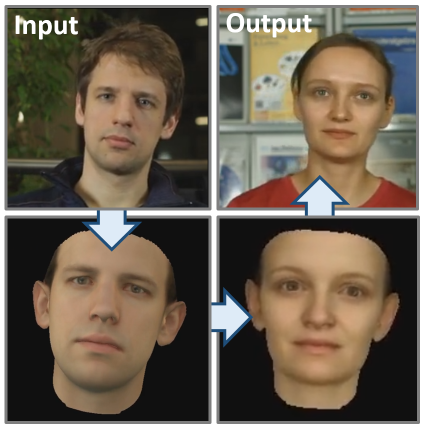 We introduce InverseFaceNet, a deep convolutional inverse rendering framework for faces that jointly estimates facial pose, shape, expression, reflectance and illumination from a single input image in a single shot. 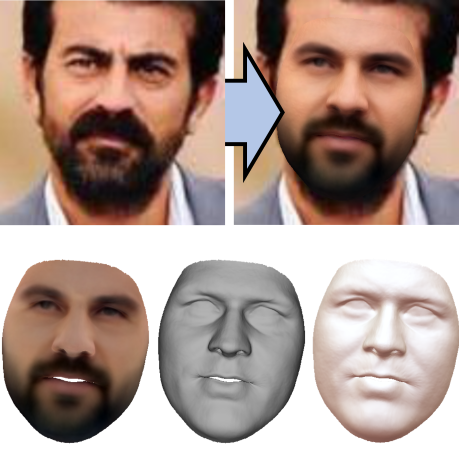 In this work we propose a novel model-based deep convolutional autoencoder that addresses the highly challenging problem of reconstructing a human face from a single image. Masters student in Computer Science at ENSIMAG, Grenoble.